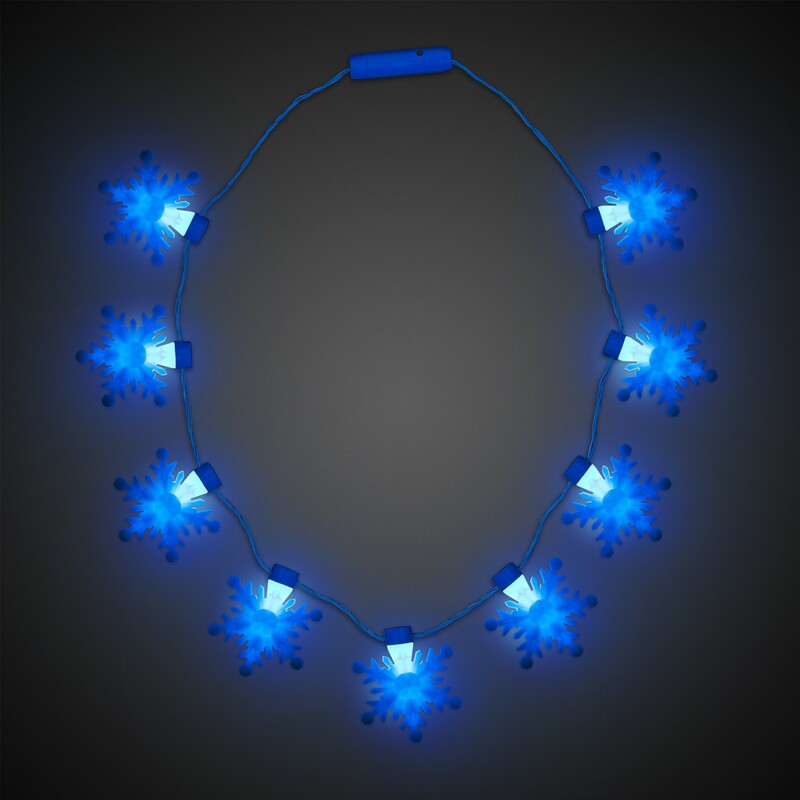 Make it a wonderfully bright Winter Wonderland this holiday season when you add out blue flashing LED Snowflake necklace. 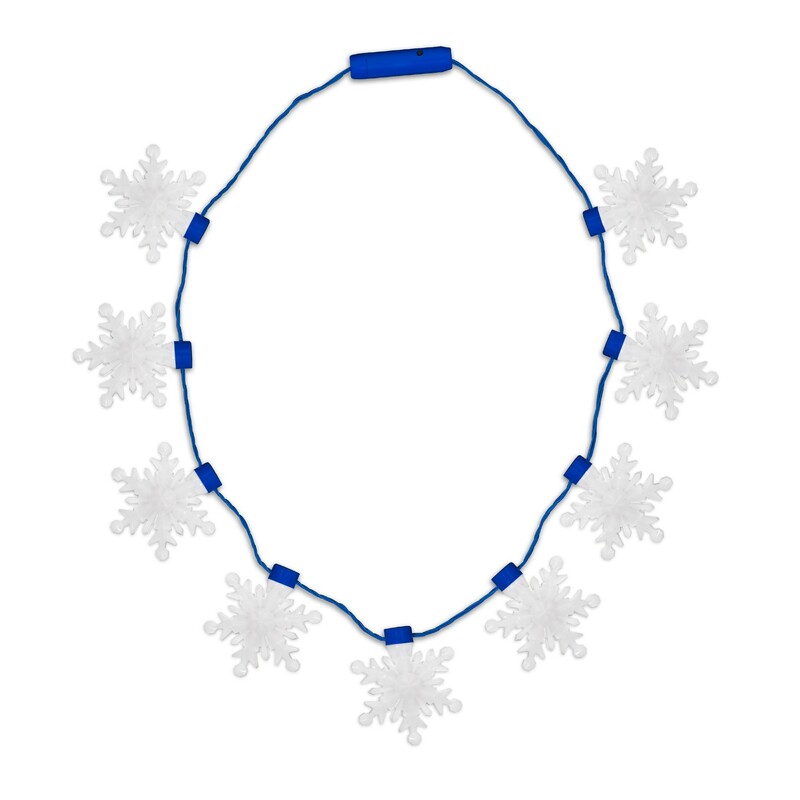 Each 31" snowflake necklace features 9 3D snowflakes that are approximately 2 1/2". Click the on/off button to choose from 3 different light settings; fast flash, blink and slow morph. 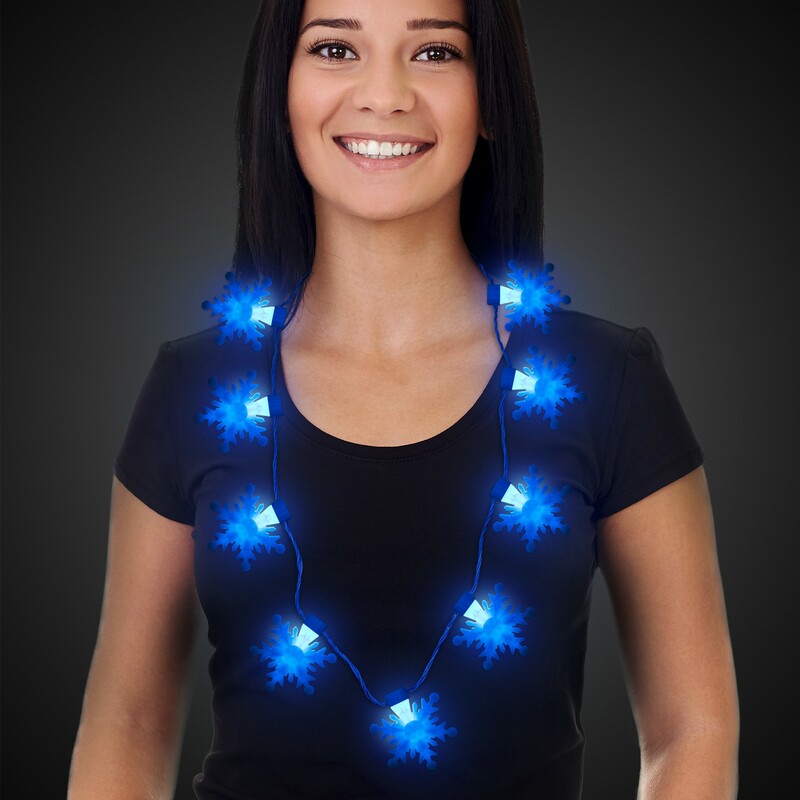 Perfect for Winter time holiday parties! 3 replaceable AG13 batteries are included and installed.